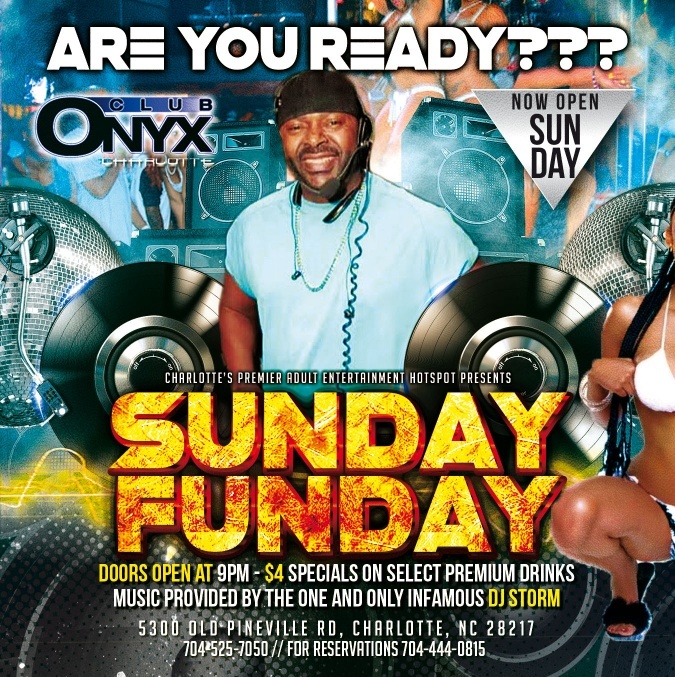 Onyx Charlotte is now open Sundays at 9pm. To become a Club Onyx Charlotte entertainer or to apply for other employment opportunities, visit our career section or call for more information. Making a reservation at Club Onyx Charlotte is as easy as knowing your name. 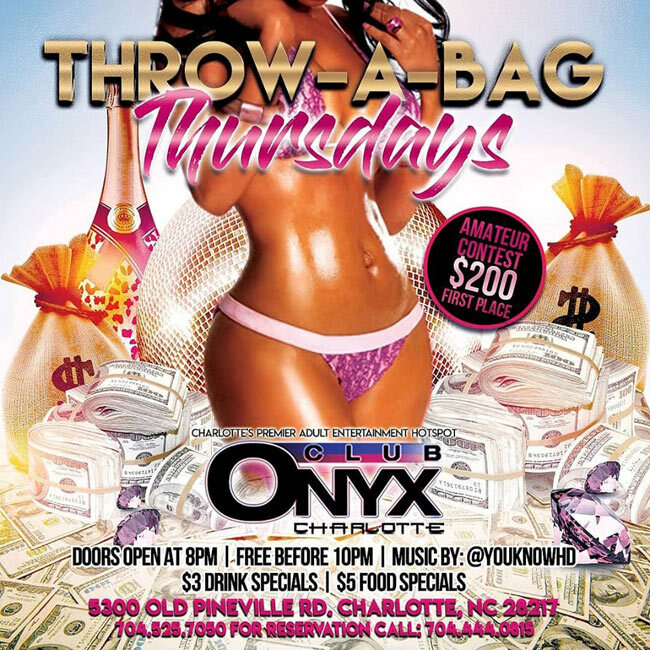 A Club Onyx Charlotte Coordinator will contact you shortly after your purchase is complete. Club Onyx Charlotte has the utmost respect for our guests and their privacy. Your information is only used by Club Onyx Charlotte to complete your reservation. Should you have any questions during the online reservation process please feel free to contact us via email or give us a call.